x Cold pressing oils involves exerting pressure, without using excessive heat, so that the natural oils are released from the ingredients. x Cold pressing involves no chemicals and no hot processes. Are you getting into more vegan beauty products? I love cold-pressed oils. The absence of heat means that the oils retain all their health benefits. I have to give this a try! I love that they keep it simple and natural. What awesome products! I really like the blue bottles; such a cool idea! I love that these are cold-pressed. I think I need to order some from Amazon as I am not pleased with my current skin care moisturizers. I am not super familiar with cold pressing, but these products look like they’d be perfect now with needing extra moisturizing lotion! 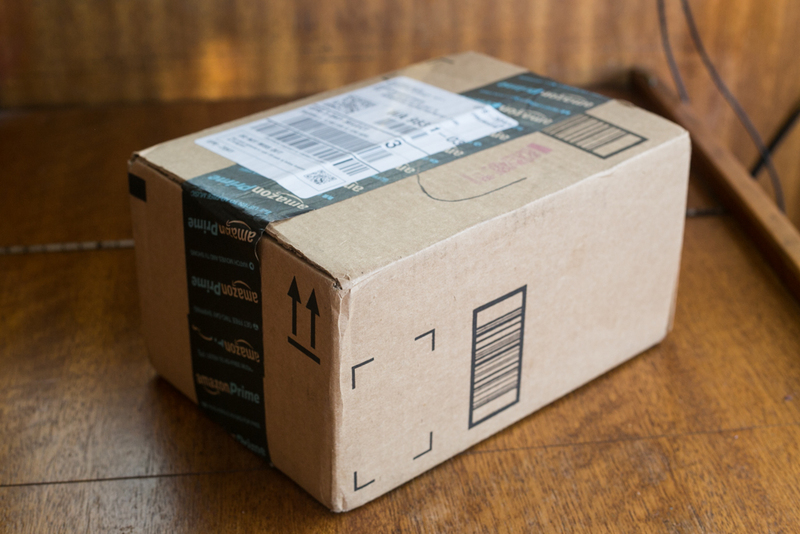 Since I’m always shopping Amazon (ugh…haha) I’ll check it out for my next Prime purchase! I haven’t used cold press before but I’ve heard about it.. I need to do a little more research on it.. in one of my natural hair groups they were discussing cold p press products. I’m about to google this line and see what I come up with. This stuff looks amazing! I think my wife and I would both enjoy this. With the weather being like it is, we can sure use this! Love the color and the packaging! I’m definitely getting interested in switching to vegan alternatives. This is right up my alley! Vegan and all natural! I love collecting natural skin and beauty products. Thanks for this information!! I would definitely love to give this a try! This is the first I’m hearing of it! Love the look and sound of it! 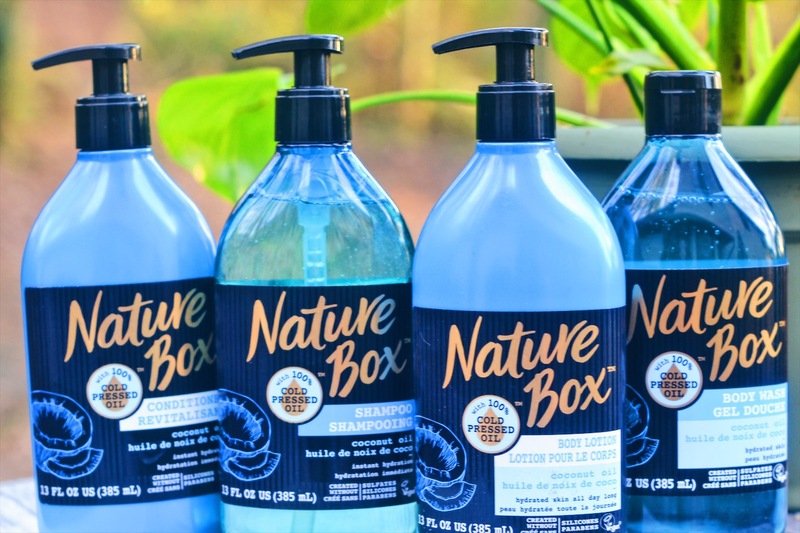 Nature Box Beauty seems like a good brand. My girl would really love to try it. I love the packaging too! Isn’t it so cool? I love the way this product looks… I’m sure it’s a great product. Self care is so important and doing it with the right product is definitely the way to go. I have been using virgin coconut oil for my hair and body. It really locks in the moisture. My hair is shiny and soft and my skin is so much healthier looking. I will look for this brand too. It looks like a better brand than the one I am currently using. I learned something new today. I have been getting better at learning to take care of my skin. I’m a sucker for good packaging. I love the bold colors. I’m going to have to try these products out for my husband. He’s all about using all natural products whenever possible. Thank you for this post. I’ve got to give cold pressed products a try. Sounds so nice and refreshing. 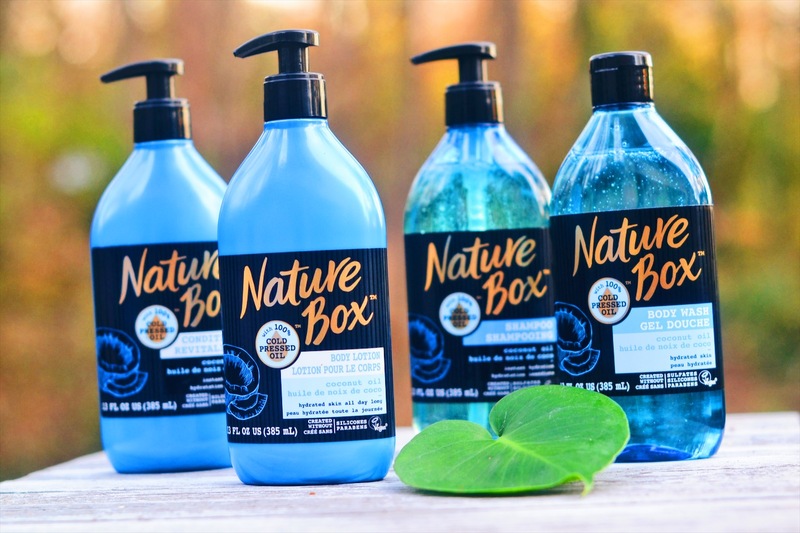 i’d be willing to try Nature Box’s products. Self-care is important to me so this is right up my alley. I like the cold pressing which are natural oils that released from the ingredient. Anything that is natural is important to me. I stay away from artificial stuff. There is nothing better than discovering new natural products to use, but I admit that I did not know this … I did not know cold press! I would try these out. I am always looking to try new things for my skin. These sound great! The only vegan product I use is coconut oil for my hair and skin. Thanks for introducing me to these products. 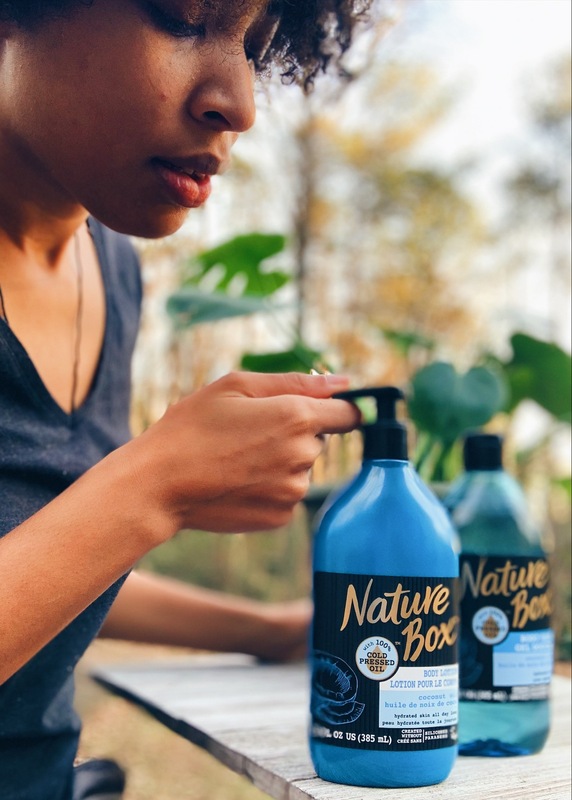 I have to admit I’ve not heard of this brand before but they sound like they are a really good choice for people are looking for natural brands. I have actually never used cold pressed oil as body lotion. So this is pretty interesting. I love when oils come in a good amount in the bottle. Ohhh I can just imagine how refreshing this is for your skin. I love all things coconut oil and water – the line of hair products I use is made with them and it’s the best. I’m sure this is too! Now that is something I would be into! I love trying out things like this. Wow, they sound like such amazing products. I am definitely moving more towards vegan beauty products now. I am trying to change out my beauty products. I dont want all those chemicals on my skin. This looks amazing! I will look more into this and try for myself. I love coconut oil and wouldn’t mind changing my beauty routine. This is the time of year when it’s so dry and cold. These oils look perfect for that. 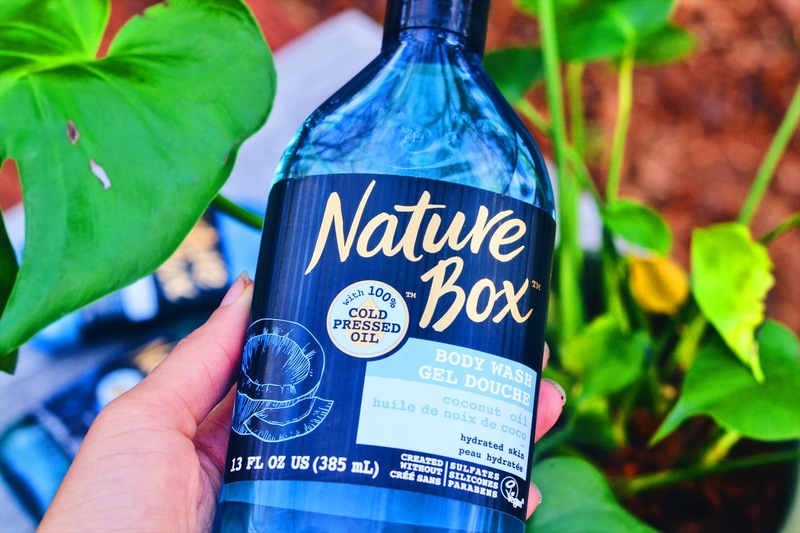 The Nature Box sounds a cool beauty and organic product. I will check this out. I’ve seen these recently online and I would love to try them. I’m always looking for new products like this. These look like great hair care products. I love the packaging too. Coconut oil is a wonderful natural ingredient for boosting your hair. This sounds really great! I love using coconut oil, so this sounds like something I’d try. I have Amazon Prime, so I’ll have to look into this. This sounds like a really good moisturizer. And because the products are cold pressed makes it even more interesting. 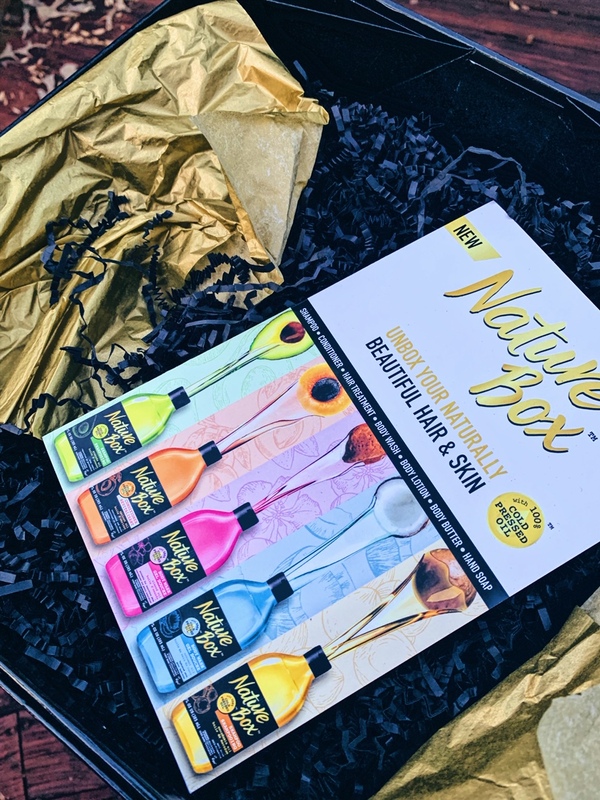 Nature Box is a must try product. I always wanted to try this and I have heard a lot about this before and been looking for this one. I love these type of boxes! They are a great way to discover new products. 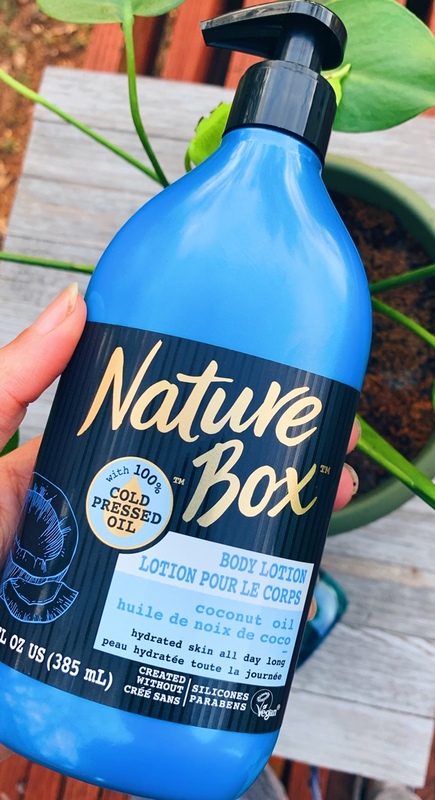 I love cold pressed oils in general, and this one is coconut oil! This one sounds perfect for me, and nice branding too! I’ve not really heard of cold pressing before so it’s definitely interesting to learn! I’ve heard some great things about these products. I have a partnership with them too, and am looking forward to trying them out. I am definitely getting more into vegan beauty products. Wow this looks like a really great product! For the new year I’m really trying to get back on track in self-care and this would help me get to that! Love this and I’m definitely going to have to look into this! Well don’t these products look snazzy! I love this idea. This looks like it would be such a great line. 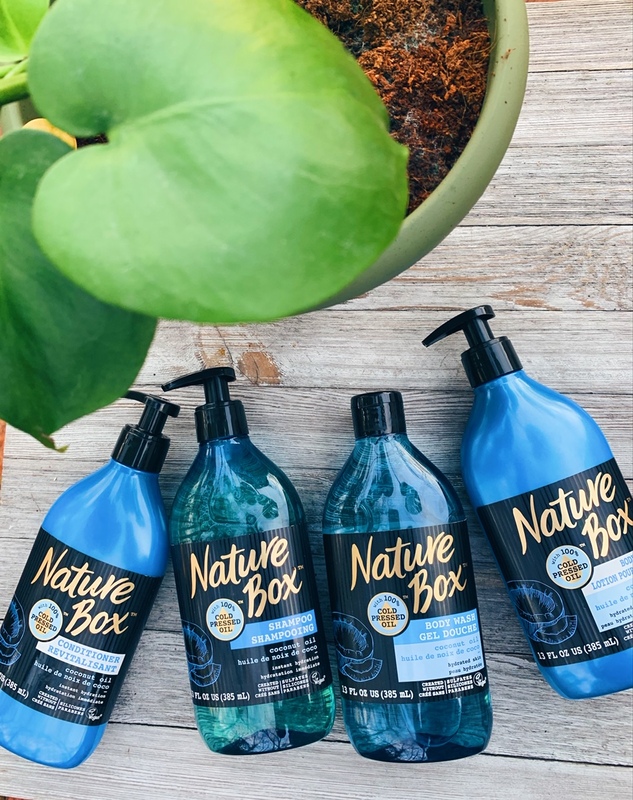 I have never heard of Nature Box before but I would love to give them a try. Oh wow I love this collection of hair and body products. 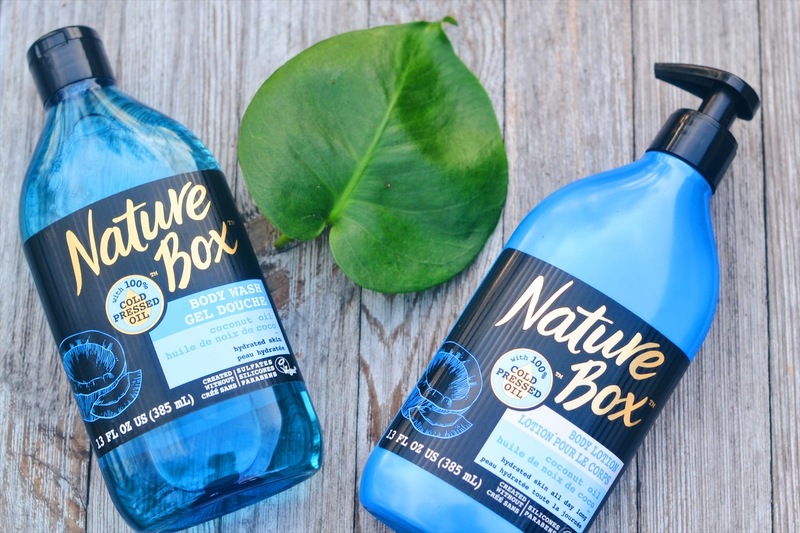 I’m going to have to check out Nature box now. Coconut oil works really well for hair & skin, though I’ve mainly used it as hair oil since childhood. It’s good to know about other coconut oil based products too, worth a try. I love coconut oil. I uses for everything from cooking to for hair. I need to check it out this product. Looks like some great natural beauty products there. I may have to get a few of these for my daughter. The packaging of these products is so cute. The fact that it’s eco-friendly is amazing too! 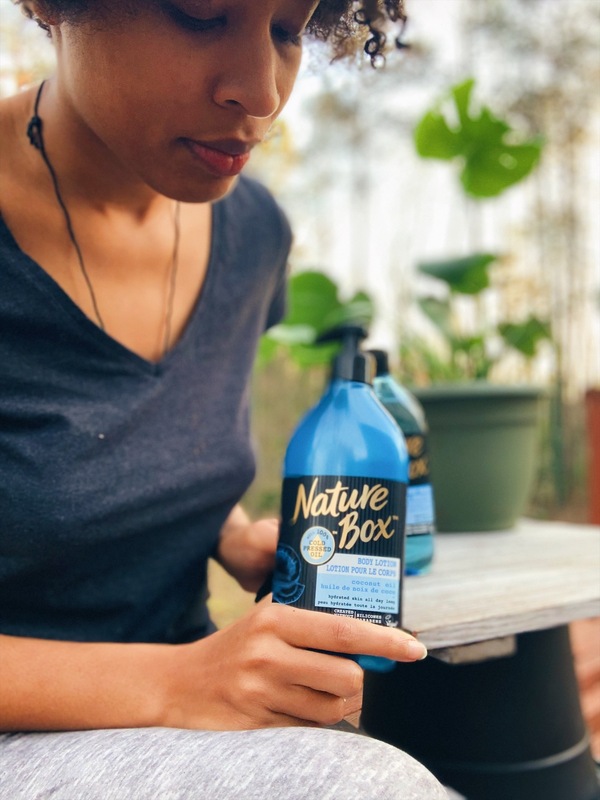 I’ve never heard of Nature Box, but it’s on Amazon so that means I need to get it, PERIODT! I just got into oil body washes and I must say I love the way they make my skin feel after I get out of the shower. Thanks for sharing this product. I will defiantly add it to my think to check out on my Amazon wishlist. Such big bottles! From the first look I never thought that they were beauty products. But they are luxurious! I haven’t heard of this product before but it seems really great. My son gets very dry skin especially in the colder months so I’ll have to look into this for him. Thanks for sharing!